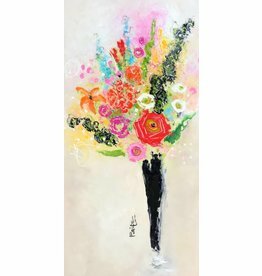 This piece of art features flowers in a black vase with red, pink, orange, blue, and white colors. This will look absolutely stunning on your wall and you'll love how it completes your space! 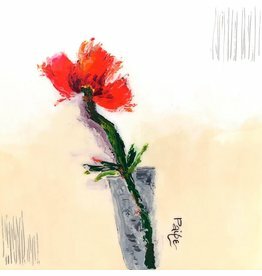 Give your decor a serene feel with this Single Red Poppy Wall Art. Hang it on its own in any space or mix it into a gallery wall to complete your decor. 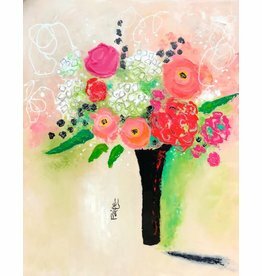 Give your decor a bright feel with this Peachy Floral Wall Art. This piece is a wonderful touch for the modern home!